Welcome to your new Ranch home. 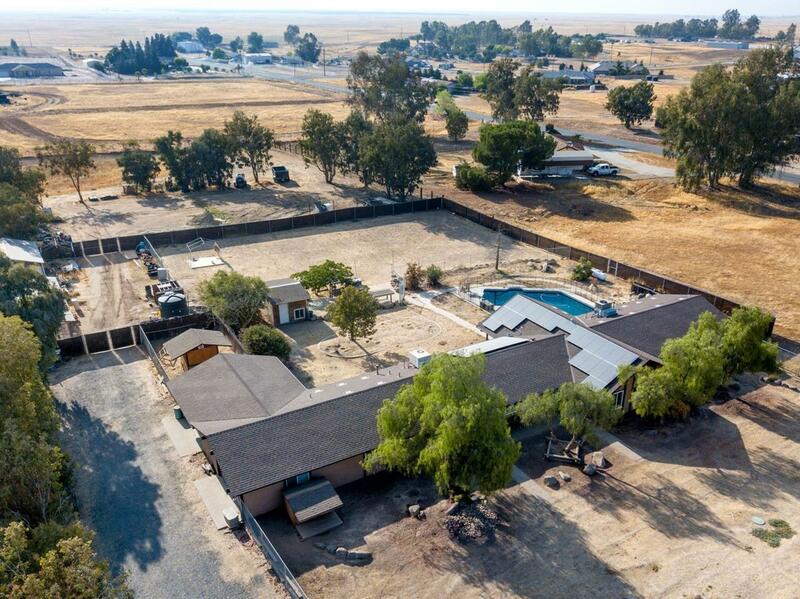 This 5 bedroom home in the Bonadelle Ranchos sits on over 2 1/4 acres, has paid solar, a new well and would be a great home for someone looking for a lot of space. There are two front entrances into two separate living areas, two master suites and a 4 car garage. 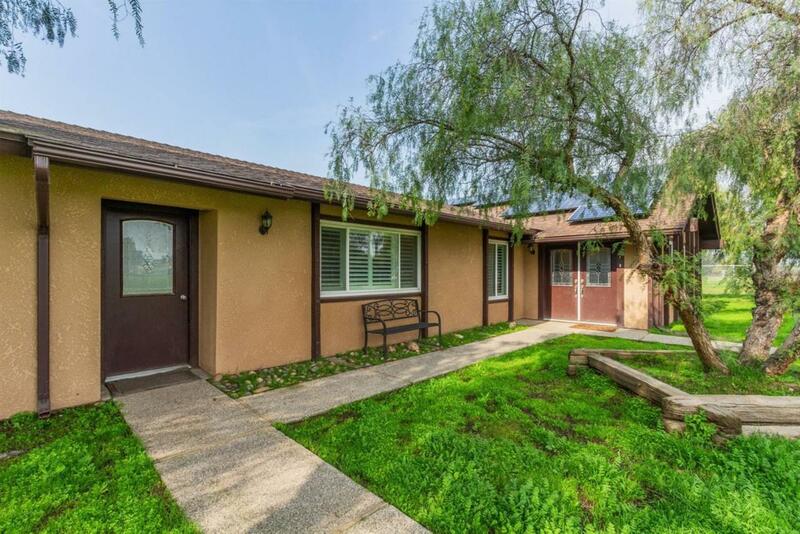 The larger side of this newly updated home has a kitchen open to the huge family room with wood beam ceilings. 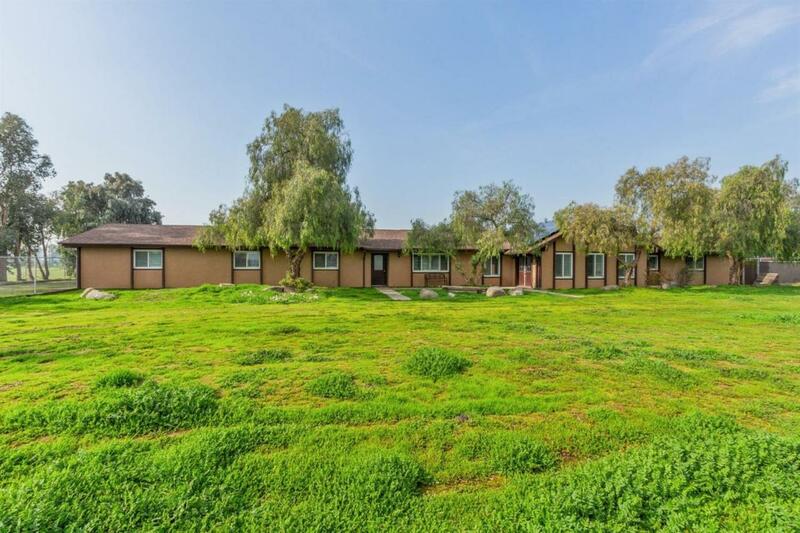 There are 3 large bedrooms, 2 baths and laundry room. The other side separated by French doors opens to a large living area. Laundry room, two bedrooms and large master bath with jetted tub complete this side of the home. 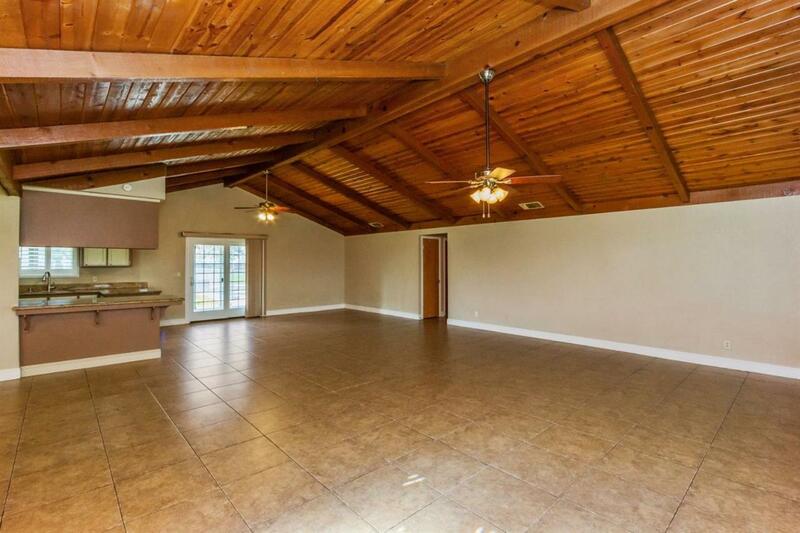 The sellers have added new roof, new windows, plantation shutters, granite counters and 18 inch tile throughout. Have hobbies? Enjoy the 18 X 40 ft shop with two 6 ft doors, greenhouse, chicken coop and pebble tec pool. Here is a great opportunity to own a home with endless possibilities, great value. Make sure to check out the virtual tour!